This might not be a video of the iPhone 5S and iPhone 5c. 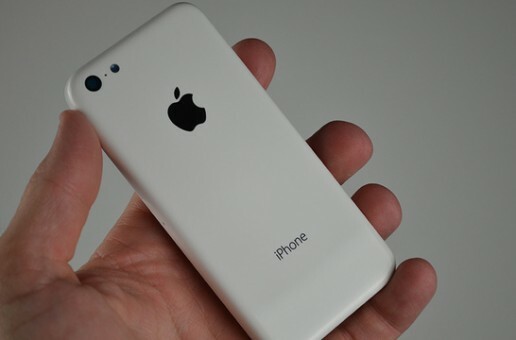 It might not show that Apple’s next flagship will look nearly identical to the iPhone 5. It might not reveal that the current black and white models will be joined by a gold—pardon, champagne version—when they are announced on Sept. This might not be a video of the iPhone 5S and iPhone 5c. 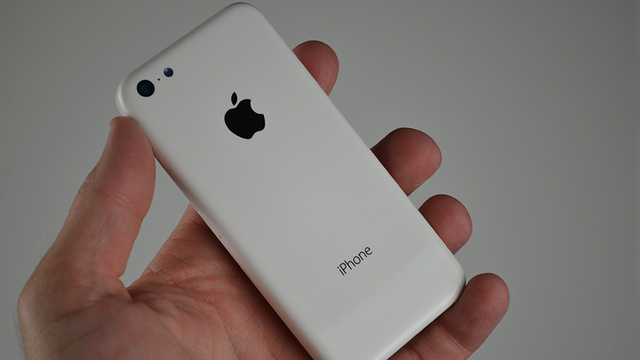 It might not show that Apple’s next flagship will look nearly identical to the iPhone 5. It might not reveal that the current black and white models will be joined by a gold—pardon, champagne version—when they are announced on Sept. 10th. But it would be far more surprising for those things not to be true than for them to happen. And that puts Apple—and you—in an unprecedented position. There have always been leaks surrounding new Apple product launches. Some of them have been accurate, some of them have not. Some have exceeded expectations, some have fallen short. But it’s that variability—sometimes even more than the products themselves—that has helped make Apple product launches must-see events. (You can argue that you’ve never cared, and that’s fine. Millions of people who aren’t you do, every year.) People tune in to be surprised. But it’s been years since they have been. In fact, the only iPhone that actually took people off guard in recent years was the iPhone 4S, which was surprising purely in that it looked identical to the previous year’s iPhone 4 (which itself was no surprise at all). Which raises three questions: Why did this level of leakage happen, what does it matter, and will it ever stop? The rapid devolution of iPhone (and iPad, for that matter) secrecy is likely one of pure math. Apple’s notorious rumor police can stifle domestic leaks just fine, but there are too many eyes and hands that come across iPhone components over the course of the manufacturing process not to expect some leakage. The ascendancy—and proliferation—of tech blogs in the last several years has contributed as well; not only are there more components floating around, there are more people searching for them. An Apple scoop has lost some cachet recently, but it’s still a dramatic driver of traffic. The end result is that whether it’s the components themselves or facsimiles that may as well be real, the truth will out. Over and over and over again. Take the iPhone 5S and iPhone 5c, for instance. For a full taxonomy of leaks you should head here and here, respectively; there are too many of them to cover in this short a space, and even those lengthy posts have excluded redundant information. But what’s clear is that these leaks, if legitimate, aren’t isolated incidents. They come from diverse sources, cover every conceivable angle. They are, by now, rote. When even the leaks themselves are met with a shrug, you know you’ve got a hype problem. Tim Cook recently promised to “double down” on secrecy. He aimed too low. To keep up with his supply chain, the secrecy increase would need to be exponential. If you prefer conspiracy theories, you could whisper that these leaks have been planted by Apple. If Apple fans know that the new iPhone will identical to the old iPhone, they won’t be disappointed by the sameness. They’ll be validated. That’s particularly helpful if you believe, as Apple must, that iPhone design consistency is a feature, not a bug. Of course, there’s no way that’s true. Every year, Apple sells significantly fewer iPhones in the middle of the year than it does at any other time. The explanation is simple; by now, it’s broadly understood that Apple releases a new iPhone every September, and if you commit any earlier than that you’re throwing hundreds of dollars at a device that will soon be both outdated and less expensive. While no one’s gotten their hands on a fully formed, confirmed prototype since, there’s really not much difference between what we know about the iPhone 5S now and the iPhone 4 then. In fact, the differences that do exist make things even harder on Apple. The iPhone 4 was at least a brand new form factor for Apple; even if the surprise was spoiled, there was still the question of how it looked in person, how it worked. The iPhone 5S, if the rumors hold, is a known quantity. The iPhone 4 was able to dominate its still-lackluster Android competition. By the time September 10th roles around, people will have had months to choose between what they assume about the iPhone 5S and the likes of a Galaxy S4 or HTC One. The only reason to wait for an iPhone 5S would be its fancy new features—and I’m not sure anyone’s camping outside of an Apple Store for a fingerprint scanner. Apple will still sell millions of iPhones. That’s indisputable. But it will sell less than it would have if no one had any idea what the iPhone 5S or 5c looked like. And if you’re Tim Cook, that’s unacceptable. What’s maybe most interesting about Apple’s predicament is that it’s largely limited to its mobile products. The MacBook Air got an industry-shaking overhaul in 2010 that no one saw coming. This year’s Mac Pro was a revelation—and propped up by Apple as a sign that it could still innovate plenty. It’s safe to say that no one saw those coming. But the reasons why might be cold comfort in Cupertino. 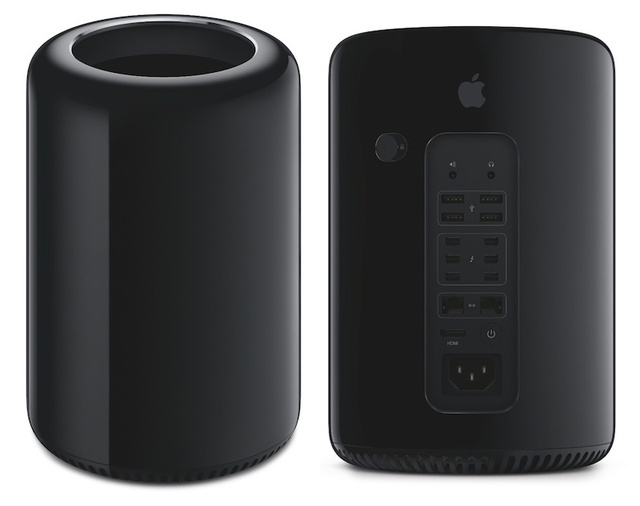 The Mac Pro’s June introduction was a particularly good example of a product that Apple was able to sneak entirely under the radar. And how it happened is deceptively simple: The Mac Pro didn’t exist. Not then and not now, outside of a flashy WWDC prototype. There’s still no ship date for it on Apple’s website, and many of its crucial components aren’t yet ready for primetime. It didn’t leak because there was nothing to leak, at least not outside of Apple HQ. Apple was able to announce the Mac Pro so far ahead of its launch because it was such a dramatic departure from both Apple’s previous efforts and the competition, and because at this point it’s so niche. It doesn’t matter if Apple takes six months to push the Mac Pro out the door; even if someone did want to copy its cylindrical design, they’d be lucky to have it out by next holiday season, much less the end of this year. There’s no such luxury when the iPhone or iPad is involved. The lag between the announcement of those products and there availability is never more than a week and a half, and for good reason. It’s a crowded field, one in which everyone copies and is copied. It’s one where new advances happen every few months; if Apple were to announce a new phone today for Christmas, it would feel obsolete by the time it launched. Which is why, by the time the iPhone is announced each year, there are already millions of units sitting in warehouses waiting to be shipped. It’s a wonder there aren’t more leaks than there are. The simple fact is that Apple leaks—and Samsung leaks, and Nexus leaks, and any product leaks of any kind—will last for as long as there’s interest in Apple, and Samsung, and Nexus. They’ll continue in proportion to how anticipated a given device is, until phones and tablets become so commoditized that we care equally little about all of them. It’s coming sooner than you think; in fact, we’re almost there now. And in some ways it’s a shame; the mystery was always part of the fun. It’s gone for good, unless we’ve all fallen for a bait and switch of massive scale. Alleged iPhone 5 Parts Assembled: Is This the New iPhone?